To prepare the chicken: Combine all the ingredients in a large saucepan and add enough water to cover the contents of the pan. Bring to a boil, then reduce the heat and simmer for 45 minutes to 1 hour, until the chicken is cooked. Remove the pan from the heat, strain, and reserve the stock. Discard the vegetables. 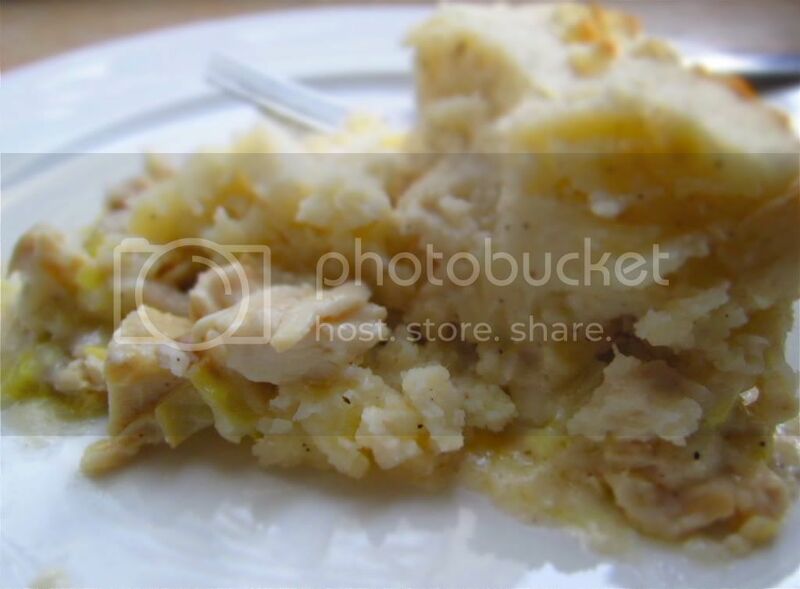 Let the chicken cool a little, then chop it and place it in a deep pie dish to one side. While the chicken is boiling, prepare the mashed potatoes: Coarsely chop the potatoes and boil in lightly salted water for 20-25 minutes, until soft. Drain them well and then mash the potatoes with a fork, stir in the butter, and add the milk little by little until you reach your desired consistency. Add salt and pepper to taste. Set aside. Preheat the oven to 350 degrees. Melt 3/4 cup butter in a saucepan over medium heat. Add the flour and cook, stirring constantly, for about 2 minutes. Over medium heat, gradually add the chicken stock, then slowly add the milk and heavy cream and stir until smooth. Add salt and pepper to taste. In a separate saucepan, saute the leeks in 4 tablespoons of butter until they are nice and soft, then add them to the chicken. When the sauce is cooked pour it over the chicken and leeks and stir to combine. 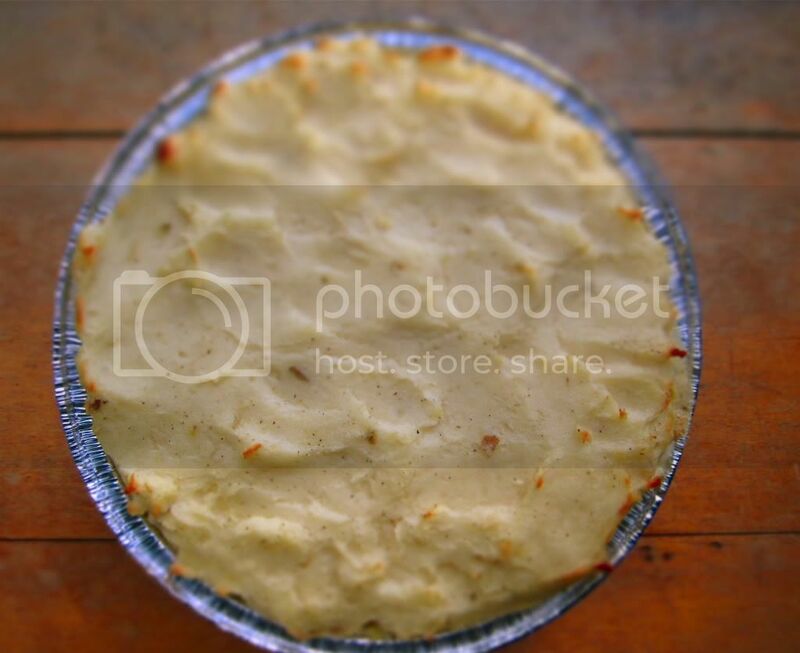 Cover the dish with a thick, even layer of the mashed potatoes and bake for 35-45 minutes, until the top is golden brown. YUM! This looks so delish... and maybe even easy enough for me to attempt! This looks beyond delicious. I will have to try! Made this tonight for a friend who needed a pick me up- I adapted the hell out of it (I literally didn't have enough butter and cream in the house) and it was awesome. Thanks Carol!